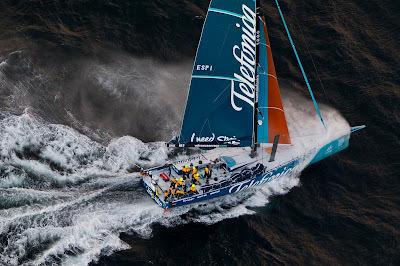 Team Telefónica have taken out Leg I of the Volvo Ocean Race. The Spanish boat crossed the finish line in Cape Town at 1814 UTC (2014 local time) on Saturday after sailing 6,500 nautical miles or 21 days five hours, 14 minutes and 25 seconds (21:5:14:25) from Alicante. “The feeling is fantastic. It's something that you only dream of. We've seen what can happen and we have achieved much more than we thought we could," said Skipper Iker Martínez. The team now lead the Volvo Ocean Race with a total of 31 points which is made up of 30 for victory in the first offshore leg and one point for coming last in the Iberdrola In-Port Race back in Alicante. 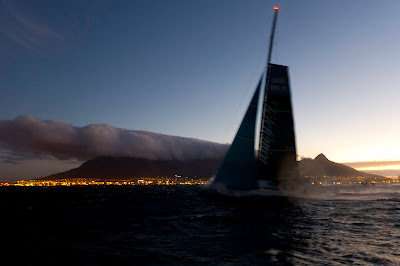 CAMPER with Emirates Team New Zealand trail about 200 nm behind the winners, with an ETA of Sunday morning while Groupama sailing team are around 825 nm behind and expected to reach Cape Town on Tuesday. 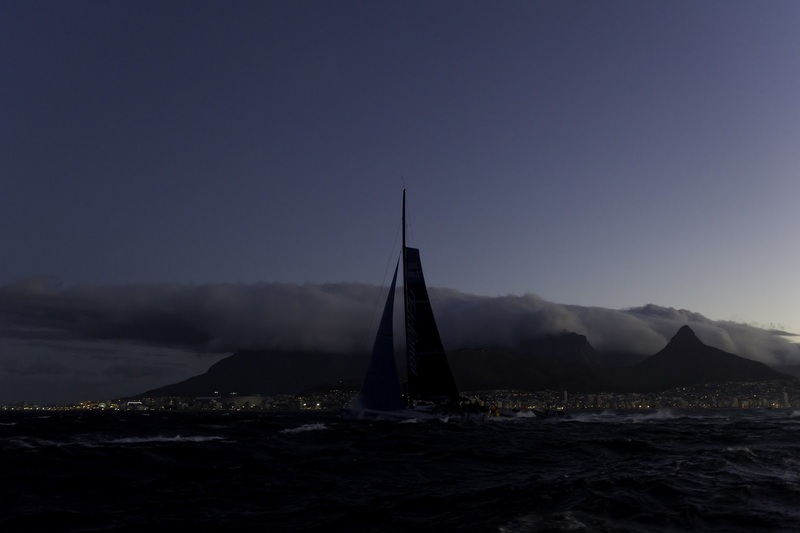 Abu Dhabi Ocean Racing, Team Sanya and PUMA Ocean Racing powered by BERG were all forced to retire from the leg and plan to be race ready for the Cape Town In-Port Race on December 10 and the start of Leg 2 to Abu Dhabi the following day. 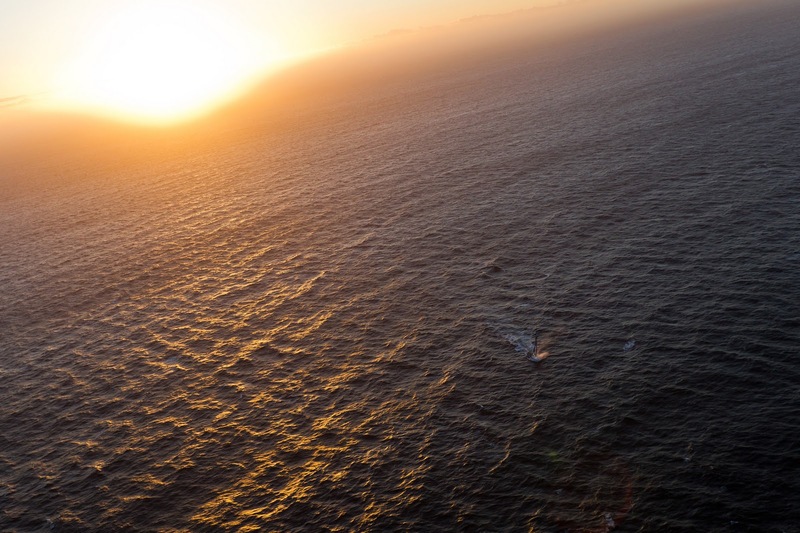 “It’s hard to put your finger on one thing, but it comes down to solid decision-making. 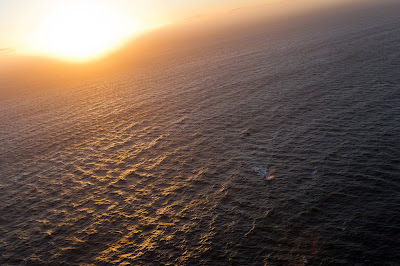 We were always pretty sure of where we wanted to go, that’s just my aspect of it. The guys kept the boat moving fast and everything in working order, which is massive because you don’t go anywhere with stuff breaking or if you’re not trimming fast. The whole crew worked really hard to keep this show on the road and it has worked out really well,” said Telefónica's Australian navigator, Andrew Cape of the team’s success. 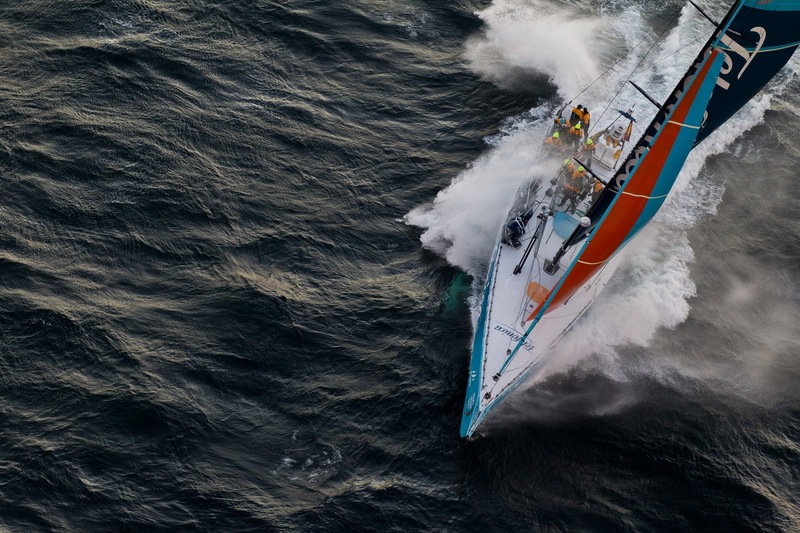 Telefónica first snatched the lead from PUMA’s Mar Mostro (Ken Read/USA) on day four. 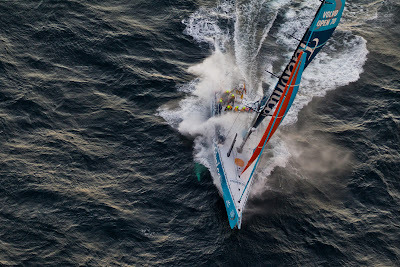 Chris Nicholson/AUS (CAMPER), Martínez and Read all went west across the Atlantic where the drag race between Telefónica and Mar Mostro began. 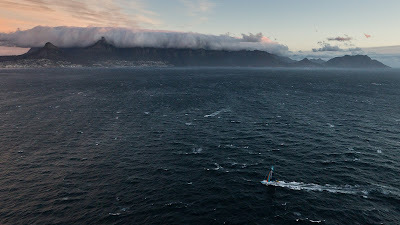 Groupama chose to go it alone and stick close to the African coast, a tactic that briefly gave the French boat the lead. By day seven, PUMA’s Mar Mostro and Telefónica had switched positions and on the next day the fleet finally found the weather system they were after and hoisted their downwind sails.On day 11 and after 2,000 nautical miles of racing, Mar Mostro was only 7.2 nautical miles ahead of the blue boat and, as the leading pair tackled the windless Doldrums, the lead swapped regularly. 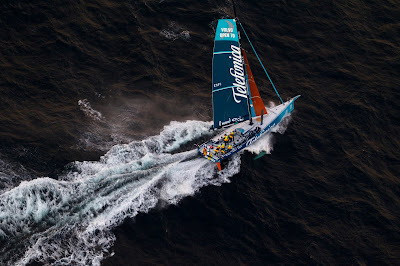 At the Equator, PUMA’s Mar Mostro and Telefónica crossed within an hour of each other and the trend continued when, on day 13, November 17, Mar Mostro led Telefónica by 55 minutes around the Brazilian island of Fernando de Noronha. 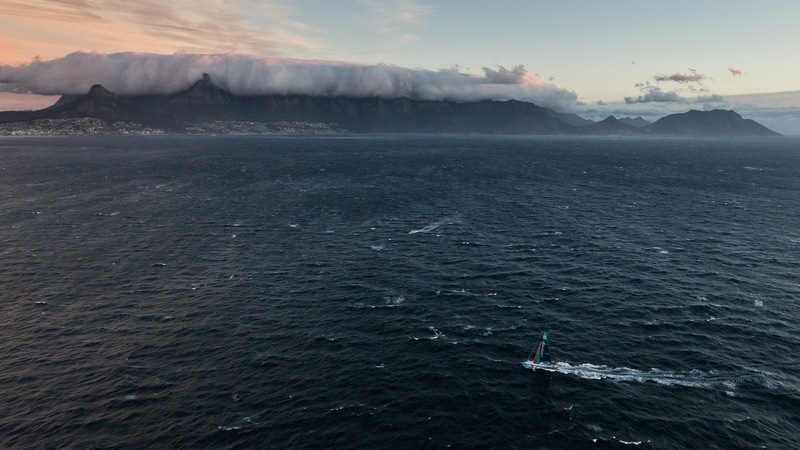 By day 14, the tables were turned and Telefónica had taken control as the two yachts raced hard to reach a cold front which would catapult them into Cape Town. 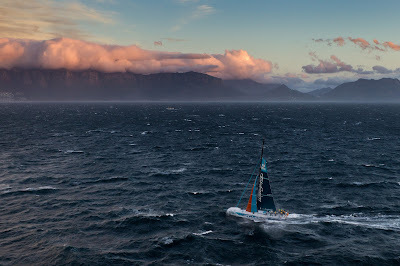 The crew of Telefónica had freed themselves from PUMA’s vice-like grip and stormed away, heading south to skirt the Saint Helena high-pressure system that blocked their path to the sought-after westerlies and the inevitable sleigh-ride to the finish. 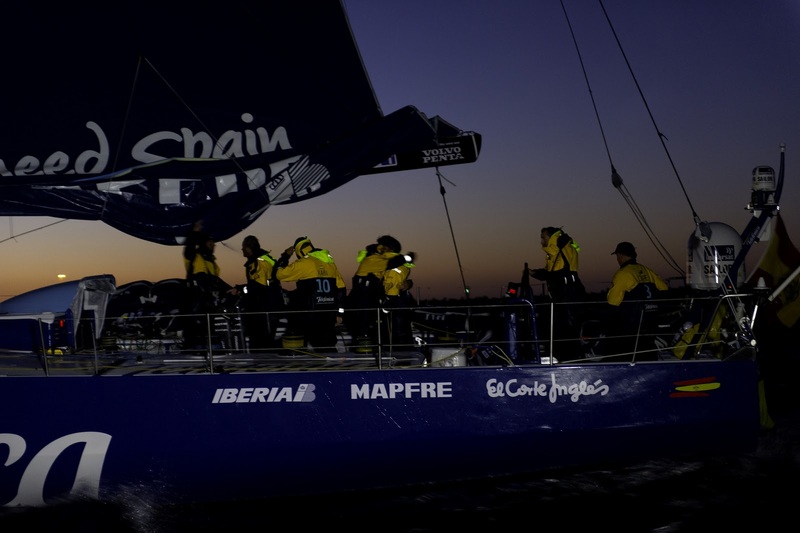 On day 17, November 21, 31 nm behind Telefónica, Mar Mostro dismasted and the match race was over. 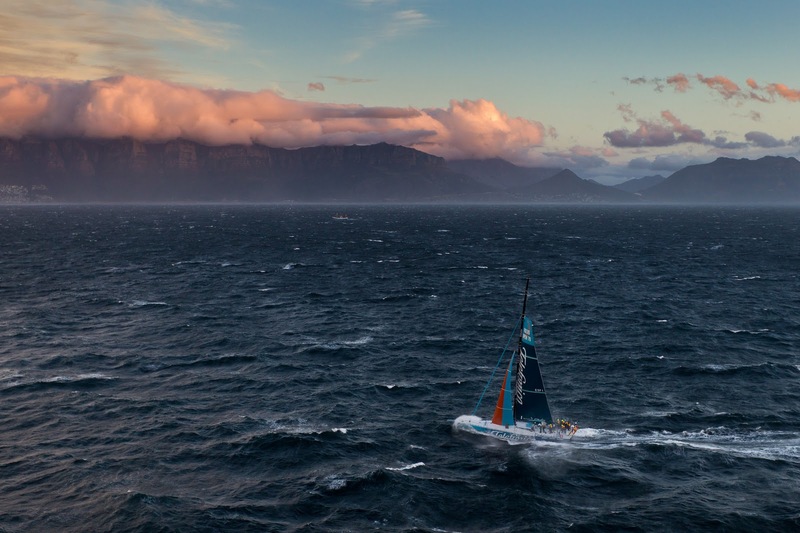 PUMA hobbled away towards the island of Tristan da Cunha, the most remote settlement on earth where they waited for a ship to take them to Cape Town. Telefónica then sailed their own race right to the finish line.